When will be The Thin Man next episode air date? Is The Thin Man renewed or cancelled? Where to countdown The Thin Man air dates? Is The Thin Man worth watching? Nick Charles was a private detective who married the wealthy Nora and decided to settle down and leave the good life. Unfortunately for the couple, Nick's past frequently caught up with him and got the couple involved in mystery after mystery. The series was based on the popular MGM series of movies of the 1930's starring William Powell and Myrna Loy. 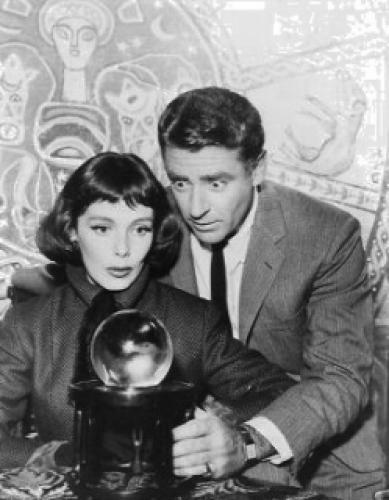 Peter Lawford and Phyllis Kirk starred as the televison versions of Nick and Nora which ran on NBC for two seasons from 1957-59. EpisoDate.com is your TV show guide to Countdown The Thin Man Episode Air Dates and to stay in touch with The Thin Man next episode Air Date and your others favorite TV Shows. Add the shows you like to a "Watchlist" and let the site take it from there.